Jeff Bezos and Lauren Sanchez took their love affair to new heights long before news of the billionaire’s divorce to his wife of 25 years became public. Newly surfaced photos show the lovers jet setting in the Amazon CEO’s $65million eight-seater Gulfstream private plane, one of the most expensive in the world, back in October. On one occasion, the pair were seen all smiles as they walked on the tarmac in Los Angeles after taking the private jet for a Miami getaway. 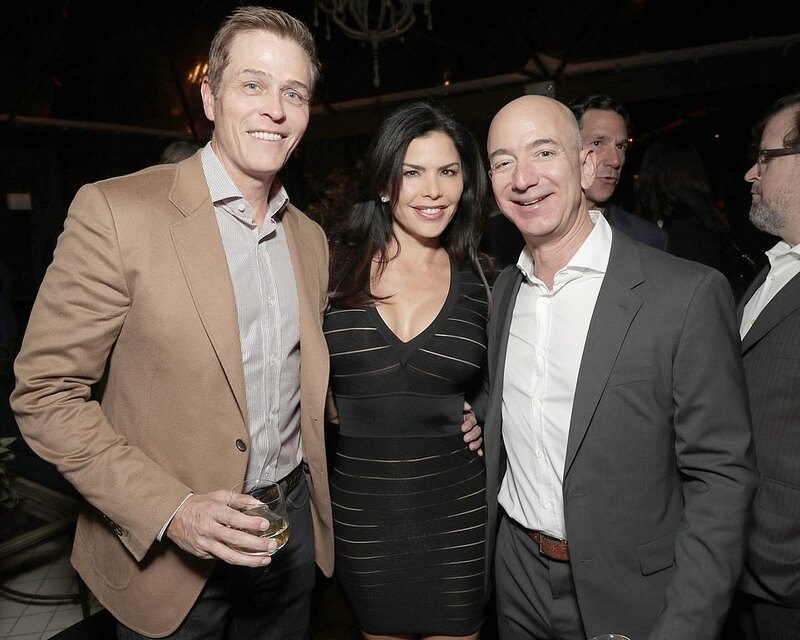 Bezos wore his wedding ring, while Sanchez was outfitted in all black and sunglasses, wearing a white hat with the WME logo, her Hollywood agent husband Patrick Whitesell’s company where he represents A-list celebrities. 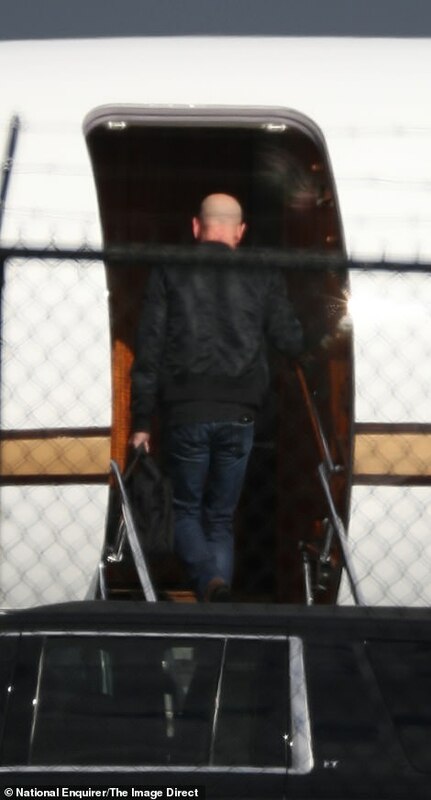 About a week later, they were seen boarding the private jet in Boston near Bezos’ son’s university – a trip that revealed the affair to Bezos’ wife MacKenzie according to The National Enquirer. 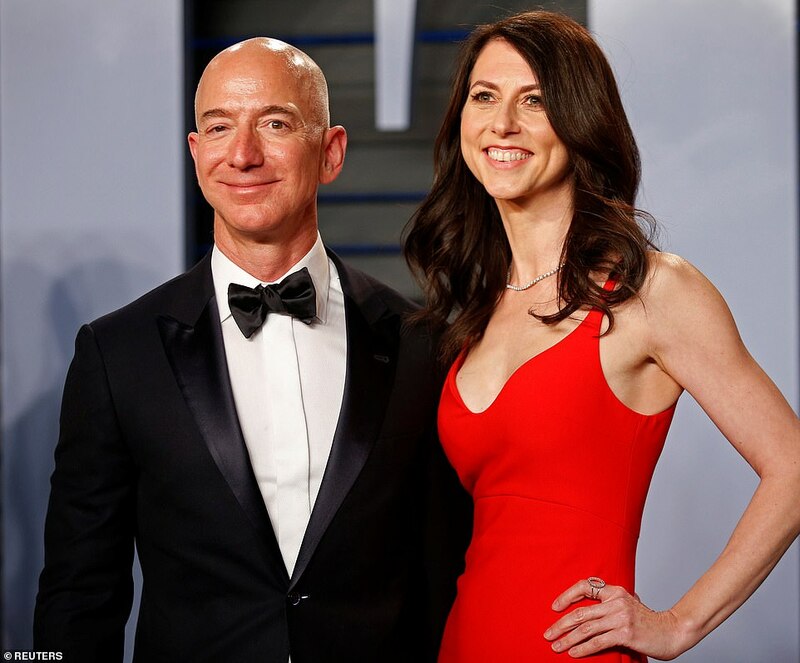 The latest photos reveal the depths of their love affair, which was in full swing for eight months before the Amazon CEO and his wife publicly announced their divorce. According to the National Enquirer, the private jet outings on October 18 and 29 nearly outed Bezos to his wife. A source says that MacKenzie discovered the flight manifest of the jet and questioned her husband on why Sanchez was the only passenger on board. ‘Jeff passed it off to MacKeznie as being business related,’ the source said. The insider added that Bezos would often use a code name for Lauren, referring to her as her birth name Wendy. During their Boston trip, the couple were pent up at the same hotel the Bezos family once stayed in while visiting their son for Parents Day at MIT. These were just two of the six times the pair were spotted together over a 14-day span. 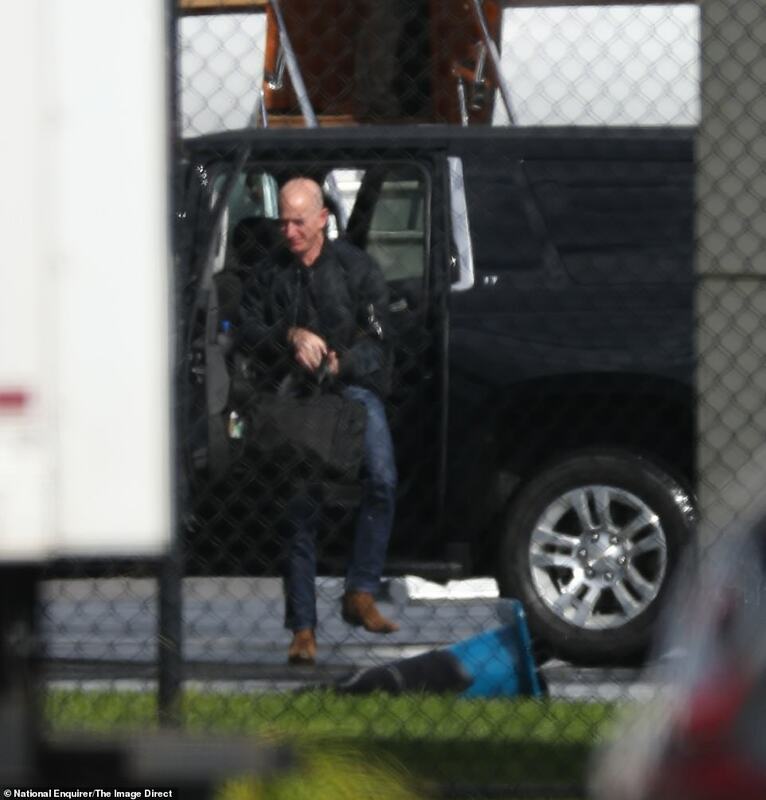 Photos from their October 18 outing show Bezos in a casual black collared shirt, wearing a hat stitched with the American flag. The pair dressed for cooler weather in Boston, with Sanchez in a long tan coat and Bezos in a bomber jacket as they stepped on board. The day after the couple returned from their Boston retreat, Sanchez was seen picking up her lover in her helicopter for a ride and a hike at the Malibu Canyon. The photos were snapped three months before Bezos publicly announced he was splitting from Mackenzie. It was previously reported that the pair have been dating since June, months before Sanchez separated from her Hollywood agent husband in the fall and nine months before Bezos announced his own divorce. Bezos, 54, and Sanchez, 49, have both denied cheating on their spouses since details of their romance emerged earlier this month. According to the Enquirer, the pair met several times for illicit trysts at both of their houses, which photos now prove to be true. In October the couple pampered themselves after their hike by enjoying his-and-her spa treatments in Santa Monica before retiring to her $4.3 million love nest. It is unclear if he and MacKenzie are still living together in Seattle, where the couple have raised their three sons and a daughter. They also own a $6.2 million home on Mercer Island in Washington, which is how they came to know Bezos. Now the Bezos are preparing for the $137billion divorce, which could see MacKenzie as the richest woman in the world.